RICKY GERVAIS: WISCONSIN WOLVES NEED YOU ! Celebrities like you have a platform to bring visibility, credibility, and attract more media attention to important causes. Right now, Wisconsin wolves need you desperately to join our campaign to keep them protected. PLUS, you are our executive director’s favorite comic ! 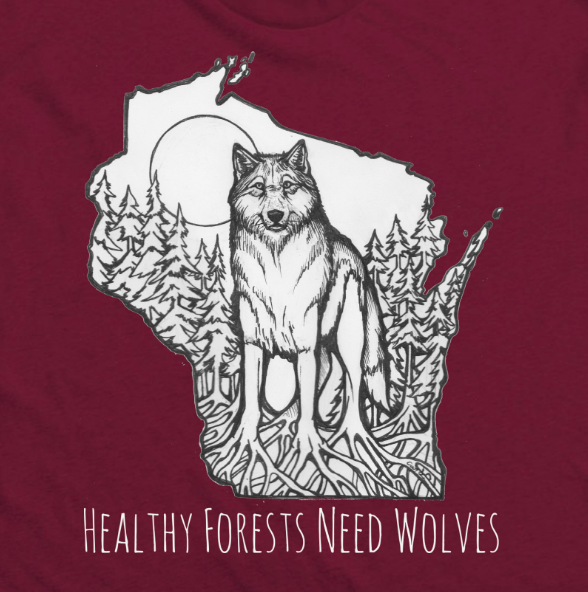 Ricky, with the help of Second City in Chicago, please consider appearing in a short Public Service Announcement and let the country know that you stand with wolves in the great state of Wisconsin! If you are able to help, please contact us at info@wiwolvesandwildlife.org. What happens if wolves lose federal protections? According to insider reports, 2018 has been the worst year for wolves and other endangered species that we have seen in decades. Ultimately, if Wisconsin wolves lose federal Endangered Species Act protections, two-thirds of the population will die at the hands of trophy hunters. The last time federal protections were prematurely stripped from Great Lakes wolves, state agencies opened up brutal hunting and trapping seasons and more than 1,500 wolves were killed in just three years. Wisconsin is the only state to allow wolf hounding and also permit hounders to run as many as six dogs on wolves and other wildlife for training 24/7, year-round. Hounders are permitted to release dogs fitted with radio collars, giving them free-reign into the forest to run down packs of wolves. When hunting hounds meet up with wolves, it is inevitable that there will be death and maiming on both sides. Quotas aim to reduce the Wisconsin Wolf population by as much as two-thirds, and the duration of the hunting season is too long (Oct-Feb) allowing it to extend into the breeding season, making it difficult for packs to maintain stable populations, potentially leading to the devastation of the Wisconsin wolf population altogether. Ricky, we have every intention to fight if and when ESA protections are lost, but we cannot take on this battle without your support. Please consider appearing in our PSA and let the world know that you stand with Wisconsin wolves!